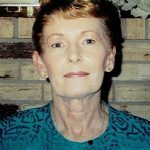 Tommie Welch, 77, of Lipan, TX passed September 9, 2018 after a courageous battle with cancer. She was born Nov. 25th 1940 to Jay and Virginia Ables in Hood County. Over the years she raised two sons while working for Jays Electric, Motts and Plantation Inn until her retirement. Tommie loved her family and will always be Nannie Mc to those left to cherish her memory. Tommie was preceded in death by her parents, infant brother, two sisters, stepmom Rosemary, 1st husband Robert McSpadden, son Jeff, 2nd husband, Warren Wiggs, the love of her life. She is survived by husband Charles Welch, son: Mickey and wife Vickie McSpadden, grandson: Timothy and wife Kathryn McSpadden, great-grandchildren: B. J., Abigale and Chase, cousin: Wanda Wiggins, brother: James and wife Cheryl Ables, numerous nieces and nephews, and stepdaughter: Linda Gallegos and family from Colorado. Visitation will be Friday 14th 6 to 8 pm, Wiley Funeral Home, Granbury, Graveside service, Saturday 15th, 10 am at Granbury Cemetery. A special thank you to Harbor Lakes for your care of Tommie. God Bless Cindy with Encompass Hospice for your caring, kindness and compassion shown to Tommie and our family during our time of need. Be the first to share a memory of Tommie.